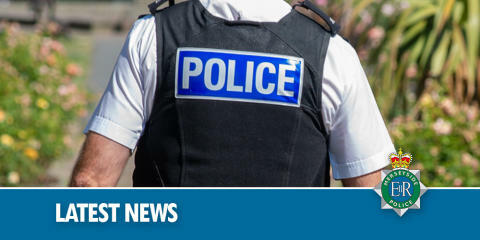 Detectives are appealing for information after a 18-year-old man was assaulted in West Derby last night (Friday, 12 April 2019). Officers were called to Mill Lane, West Derby at 9.37pm after reports were received that a male had been assaulted and suffered stab wounds. The victim was taken to hospital for treatment for his injuries, including stab wounds to his buttocks and abdomen. His injuries are not life threatening and his condition is stable. House to house enquiries have been carried out and CCTV opportunities are being explored. There will be additional high visibility patrols in the area to provide reassurance to the community. Detective Inspector Sue Hinds, said: “We believe this assault actually occurred in the toilets of the Sefton public house and I would appeal to anyone who was in the pub at the time, who witnessed anything, or has any information to contact us. "The victim is refusing to co-operate with police, but that won't stop us from carrying out a thorough investigation into the assault which is a stark reminder of the serious harm that knives can cause in our communities. We need to ensure that those people who carry and use knives get the message that their actions will not, and cannot be tolerated, and we will continue to do everything we can to educate young people and raise awareness of the harm it can cause to victims, perpetrators, families and communities. “I want to reassure the community and promise that we will do everything in our power to bring the offenders in this incident to justice. DI Hinds added: "If you have any information at all about this assault, or were passing nearby in a car at about 9pm and have dashcam footage, your account or evidence could be absolutely vital in our investigation, so come forward and we will do the rest.